What Does Proverbs 31:10 Mean? Following the godly advice from his mother of the dangers of wayward women and strong drink and reminding her son of his responsibilities to champion the cause of justice and commit his ways to the Lord, we discover king Lemuel, which means “devoted to God,' offering grateful praise for the wisdom and virtue his mother, in a passage of scripture that all women of God would be pleased to emulate. He starts his praise of godly womanhood with the much-quoted verse of scripture: Who can find a virtuous woman? for her price is far above rubies. and then he proceeds to list the noble attributes and worthy characteristics of the ideal woman of God. She is capable and intelligent; she gives comforts and encouragement and she is applauded by her husband and children for her wisdom and honesty - her gentleness and mercy. She is thrifty and industrious; prudent and self-controlled, generous and creative.. and she is clothed with dignity and strength, integrity and kindness - goodness and grace. Although the question is still on the lips of many today: Who can find a virtuous woman? 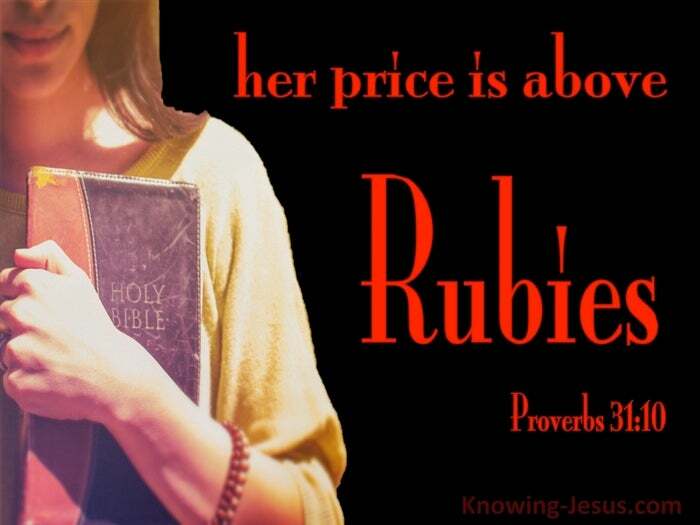 for her price is far above rubies. the answer is found at the end of the book of Proverbs: a woman who fears the LORD, she shall be praised. The fear of the Lord is the beginning of wisdom we are told at the beginning of Proverbs, while at the end we discover that the attributes and characteristics of the wise woman are summed up in a few short verses which climaxes with the short statement: a woman who fears the LORD, she shall be praised. 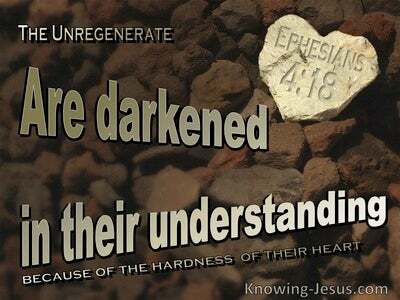 The godly attributes of this virtuous lady are unattainable in our own strength, for the works of the flesh, whether good or bad are rooted in the fruit of the old sin nature and are unacceptable to the Lord. 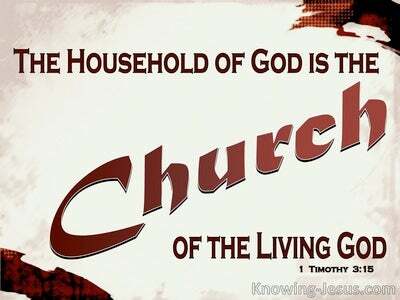 But she who desires to be holy and virtuous, gracious and good can only achieve this spiritual fruit through the power of the indwelling life of Christ. The fear of the Lord is rooted in dependency upon Christ to work His work through us. The fruit of the Spirit can only be produced in the one who trusts in the Lord with all her heart, does not lean on her own understanding. 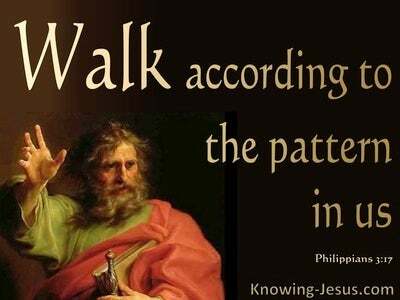 The beginning of wisdom and the fruit of virtue and can be discovered in the one who presents her body as a living sacrifice, holy and acceptable unto the Lord. 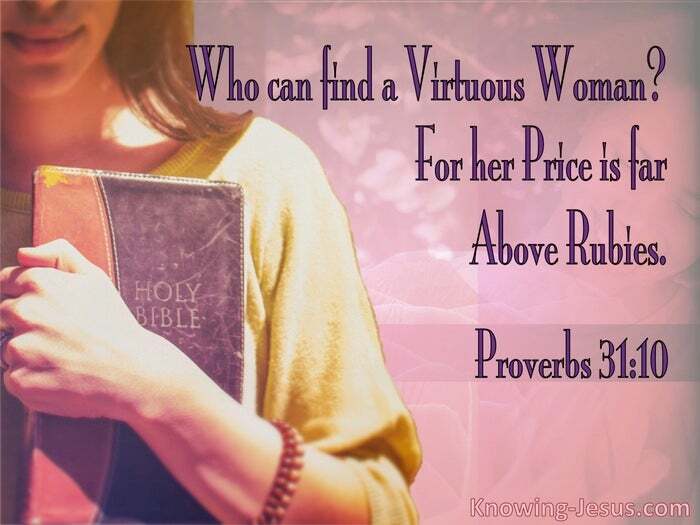 Who can find a virtuous woman? 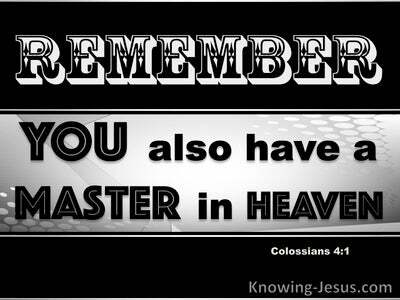 Well, she can only be found in the one where Christ is all in all.